What could be more giggle-inducing than recognizing our own human foibles in a pair of sweet and spunky turtles? 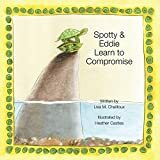 With its slapstick, smiles and airy, upbeat illustrations, this simple story helps us laugh at the silliness of squabbles and invites us to find a better way. You can sneak a peek at the whole book on Heather Castles’ blog, here! The MommyCast and Friends Family Channel launched in October 2007 with its initial lineup of podcasts — including Just One More Book. Earlier today we sent a note to Paige and Gretchen announcing our decision to leave the network. We parted on very good terms and we’re happy to say that we have made some new friends along the way. We wish them success with the network and look forward to meeting up with them, again. When she was little she wanted to be a teacher, in high school a tennis player and in college a paleontologist. She eventually went into advertising before starting her own public relations firm and since 1992 has been an author of children’s books. On this edition of Just One More Book, Mark speaks with author Natasha Wing about writing for 5-8 year-olds, the parallels of baking and writing children’s books, and exploring different styles. ***Be sure to check out the complete list of Fiction Picture Book Finalists for The 2007 Cybils Awards here. Vintage poster-style illustrations and meticulously crafted poems pay tribute to the skill, spirit and style of twenty-six jazz greats, from A to Z. Exquisite Insanity: There Were Monkeys in my Kitchen! Concentrated comedy, chaos, and commotion explode from every detail-packed image and fervent verse of this frenzied celebration of syllables and silliness. Is it just me, or does this book perfectly capture the pandemonium of parenting? The hush of dependable peaches and greens gently gives way to a crescendo of red in this thoughtfully unfolding, true story of a young girl with a dream — and the patient, respectful cracking of cultural constraints that made her dream come true. You can help make a dream come true today by joining the effort to provide schooling and stability for autistic children in China. To learn more click here. Her books are wonderfully imaginative, action-packed, suspenseful and filled with vividly humourous characters and situations with great messages about human nature. On this edition of Just One More Book, Mark speaks with author Eva Ibbotson about — among other things — her childhood experiences, her writing process and style, and why children connect with orphans. Click here for Eva Ibbotson book reviews by Lucy. Schumann’s Cello Concerto, third movement from the Internet Archive (performers unknown). January 27 is the ABC Canada Literacy Foundation‘s Family Literacy Day; an event that celebrates and promotes literacy, with a family twist. Across the country, libraries, schools, community centres, arts centres, and homes — maybe even your home — will be hosting events and reading children’s books. It’s a great excuse to read a book with your child, if you need one. On this edition of Just One More Book, Mark speaks with Margaret Eaton, President of the ABC Canada Literacy Foundation about literacy and this year’s Family Literacy Day. Full page, personality-packed portraits, deceptively adorable sketched studies and frank, enthusiastic poems reveal the charm and distinct characters of sixteen beguiling breeds in this irresistible celebration of spunky, demanding, affectionate, rambunctious, cantankerous, lovable dogs. Scowls, gasps and frowns abound in this surprisingly informative yet thoroughly entertaining account of the Audubon Society, its origins and its triumph over the silliness of the dead-bird fashion industry. You can read more about John Audubon’s Bird’s of America here. For twenty years, Jane Ray has been dazzling the children’s book world with rich and exotic illustrations for stories that include fairy tales, cultural and biblical stories, Shakespeare and more. She’s become involved in promoting awareness of green issues and the inclusion of children with disabilities in books as part of the In The Picture project. In March of this year, Ms. Ray will publish The Apple Pip Princess, her second book as both an author and illustrator. On this edition of Just One More Book, Mark speaks with Jane Ray about museums for inspiration, exploring the darker aspects of stories and what we can expect in The Apple Pip Princess.